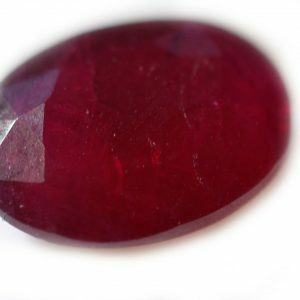 RUBY Deep, glowing red, the ruby is sometimes said to contain the original spark of life, “a drop of the heart’s blood of Mother Earth.” In 1415, King Henry the Fifth led his small British army against the French at Agincourt. 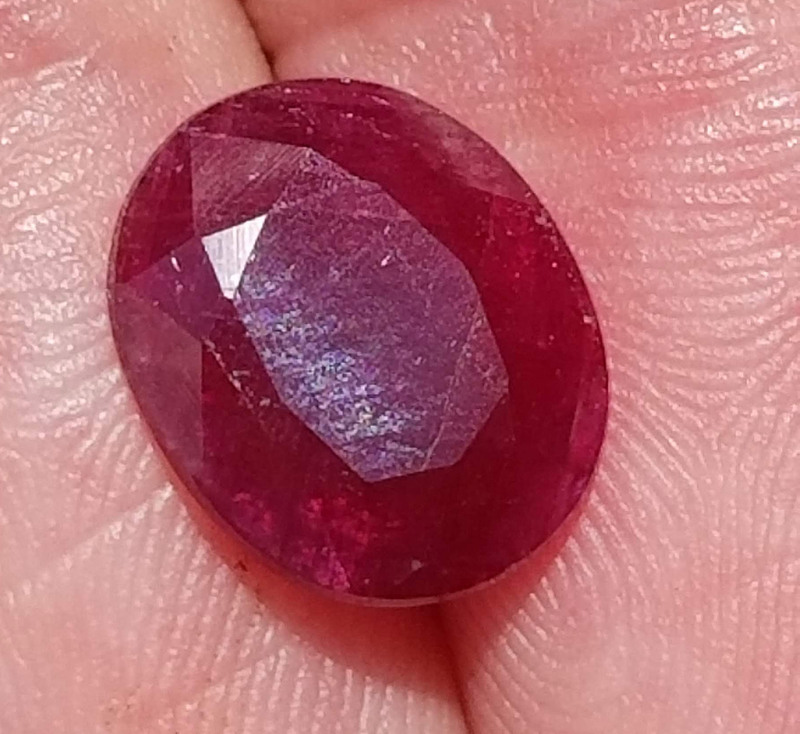 For protection, he wore the famous Black Prince Ruby in his helmet. 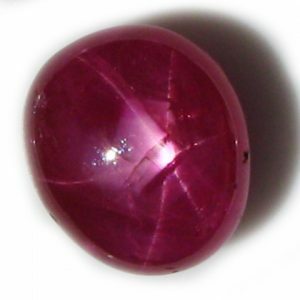 After winning the battle, he credited the stone for taking a blow meant for his head. 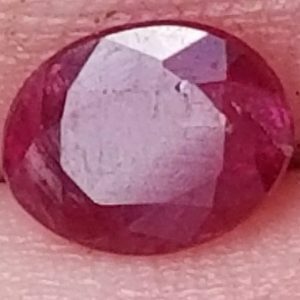 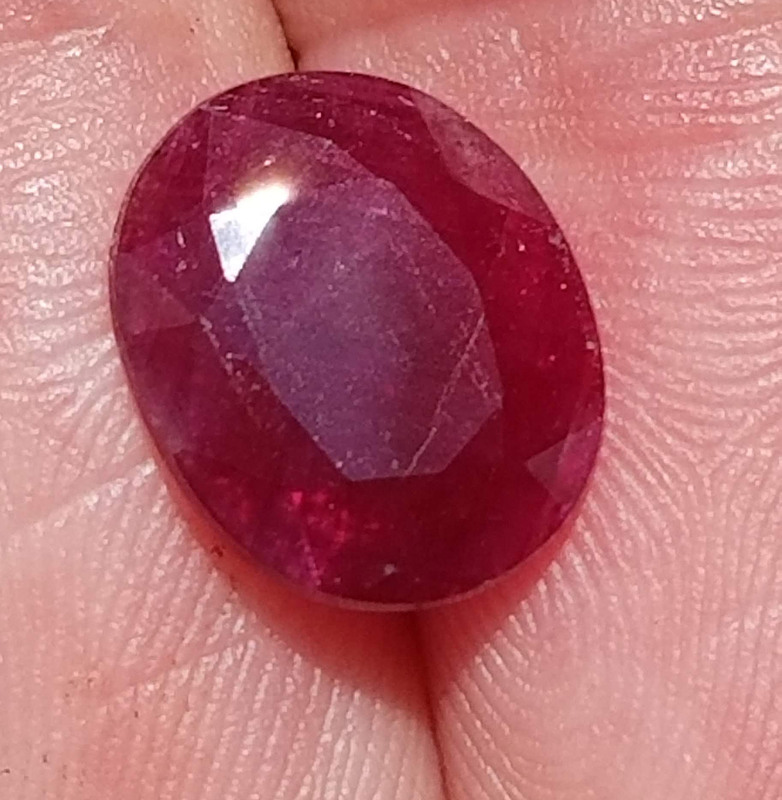 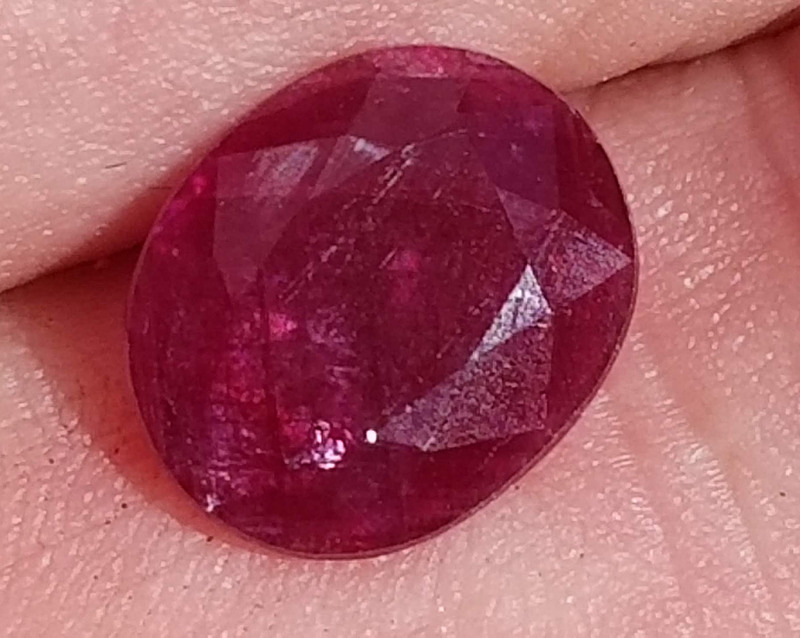 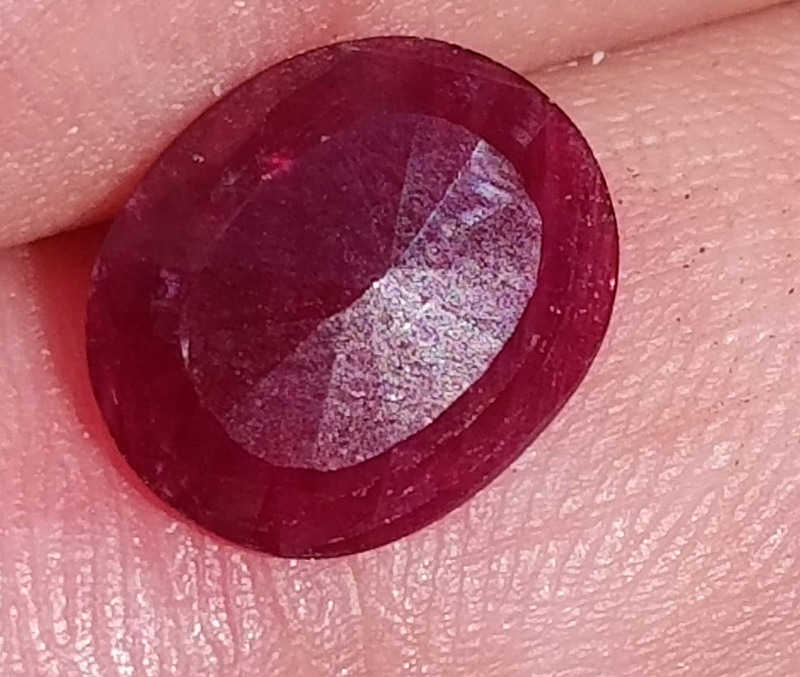 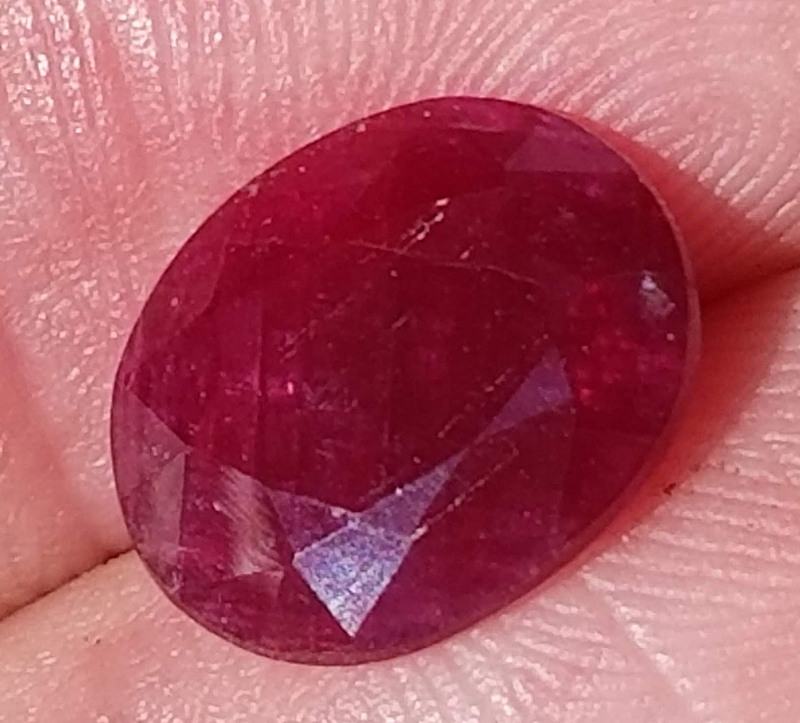 This ruby was mined and faceted in India has a scarlet red and SI1 clarity, this ruby is unheated and clarity enhanced, and seemingly has that spark of fire that burns internally, that gives offa beautiful radiance.